Spectrum Analyser - See 1 MHz of the spectrum real time on your screen. Identify potential signals of interest visually. Advanced RDS Monitor - Explore the digital RDS data feed that is broadcast with FM radio stations. See PI, AF, CT, PTY, ECC, signal quality, constellation display and RDS group statistics. Audio Recording - Record your favourite tunes in STEREO straight from the radio or tape that random chatter you randomly came across on the HAM band - it's up to you! You need to have SDR Touch already installed on your Android powered device. 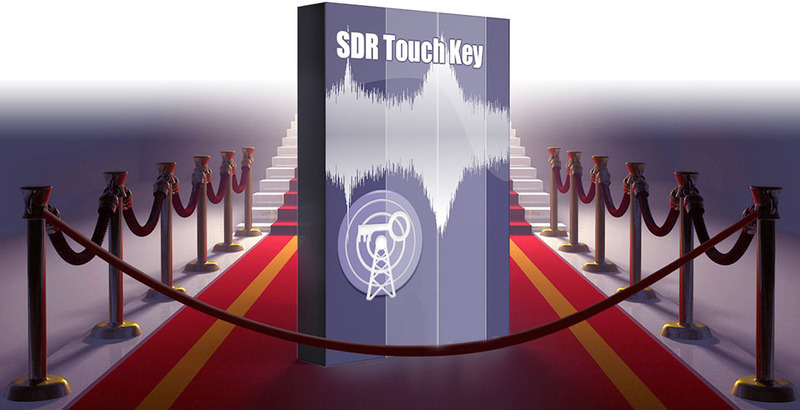 Purchase and install SDR Touch Key. Next time you start SDR Touch you will be able to use the pro tools and the "DEMO MODE" will have disappeared! It is highly recommend to install SDR Touch first to check whether it is compatible with your USB dongle, phone or tablet.